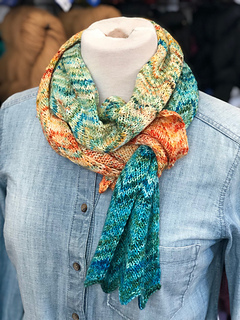 Carnival Games as their inspiration for the 13th Annual Minnesota Yarn Shop Hop 2019! 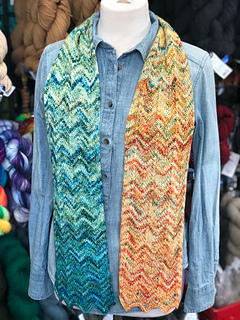 This pattern will be free until April 14th. Our exclusive colorway is Step Right Up! 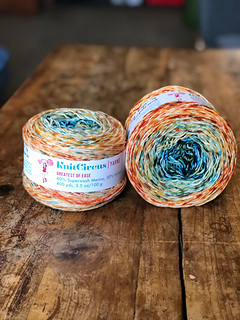 in Greatest of Ease from Knit Circus! Knit with 1 skein on a US 4 needle. 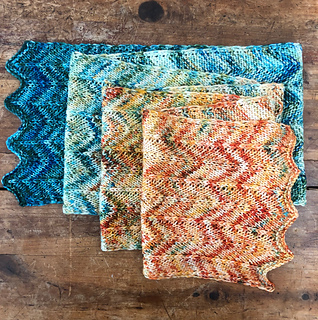 The chevron stitch shows off this beautiful long shading yarn!